Ever since I started working in a well-known audit firm, I began to worry that I may not have the time to continue my hobby of doing food blogs (and sensibly conducting food explorations), and just recently, this was put into test as I was invited by the brand manager of Dekada to try out their Filipino dishes. Fortunately, it was scheduled on a lunch time. Since the Glorietta 3 is just near the place where I work, I took it as a good sign. Thus, I ended up accepting the invite and checking the place out! 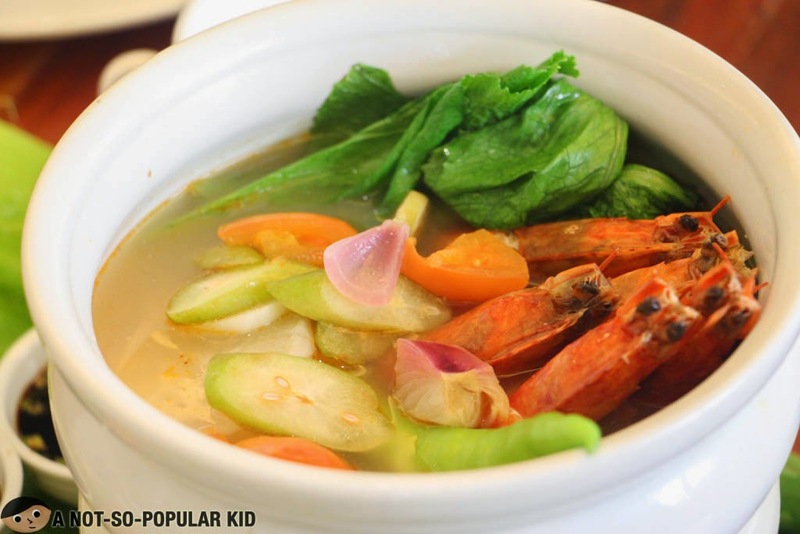 Dekada first stepped into the Philippine food scene during the celebration of the Independence Day in 2013. It entered the market with a basic concept of bringing back the glory decades of our country, through a nostalgic feeling. 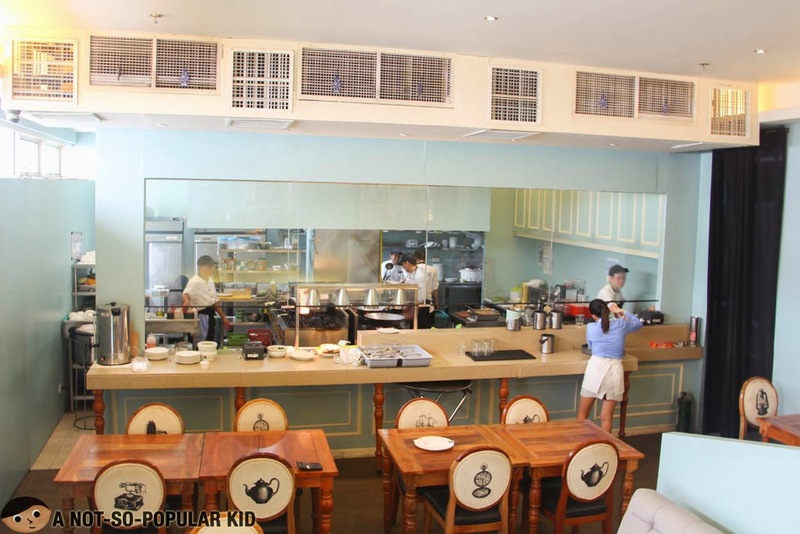 With this, the management decided to integrate this with the homey interior, the names of the dishes as well as the recipes themselves. 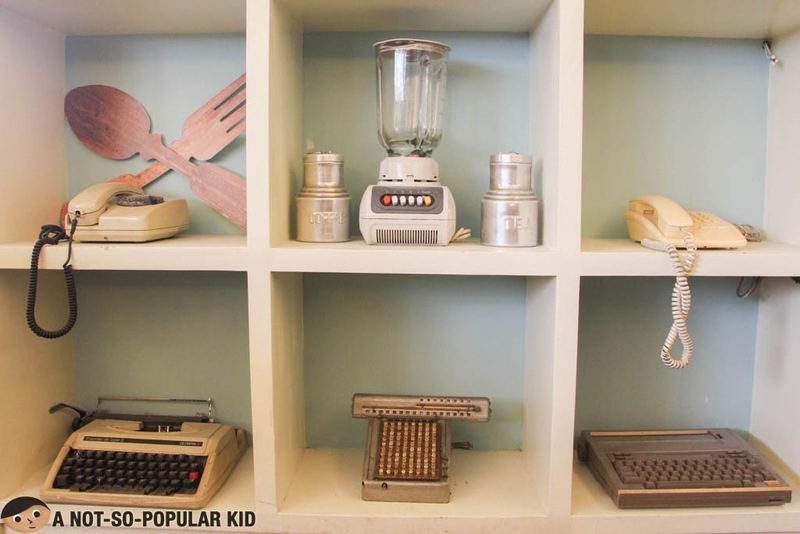 The nostalgic old-fashion equipment - telephones, typewriters, blenders and etc. Dekada has an interesting line of drinks ranging from juice to samalamig. What I was able to personally try was the Milo Godzilla which was indeed nostalgic! 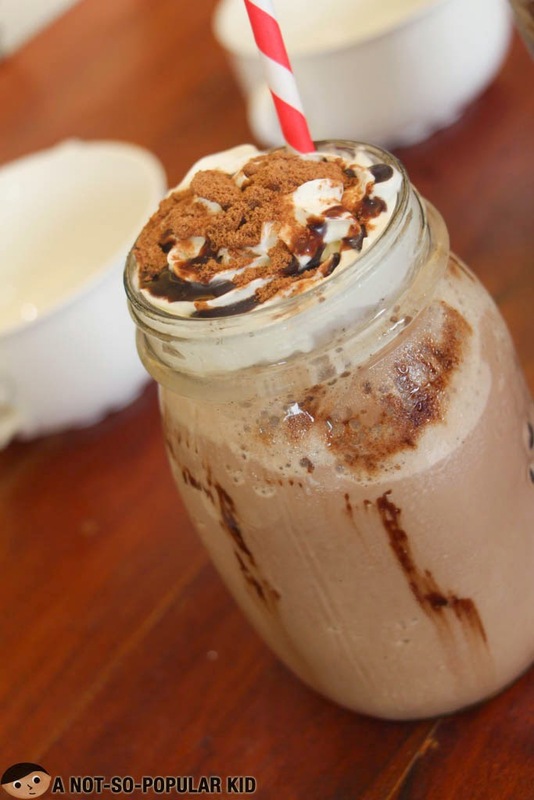 I remembered the days when I was sipping some cold milo shake at our old home in U.N. Avenue. 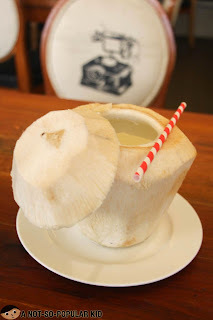 Taste-wise, I found it sweet yet refreshing! For your reference, I'll include the price when you'll purchase them per dish. 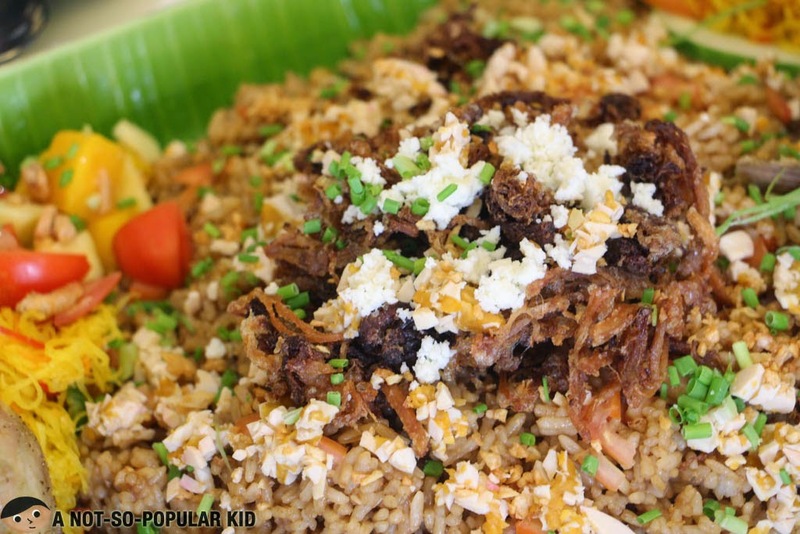 This twice-cooked adobo leaned more towards the salty yet flavorful side of the various adobos we know. Anyway, what made this somewhat special was usage of the beef instead of a pork, and also the inclusion of chunks of garlic that I really enjoyed! 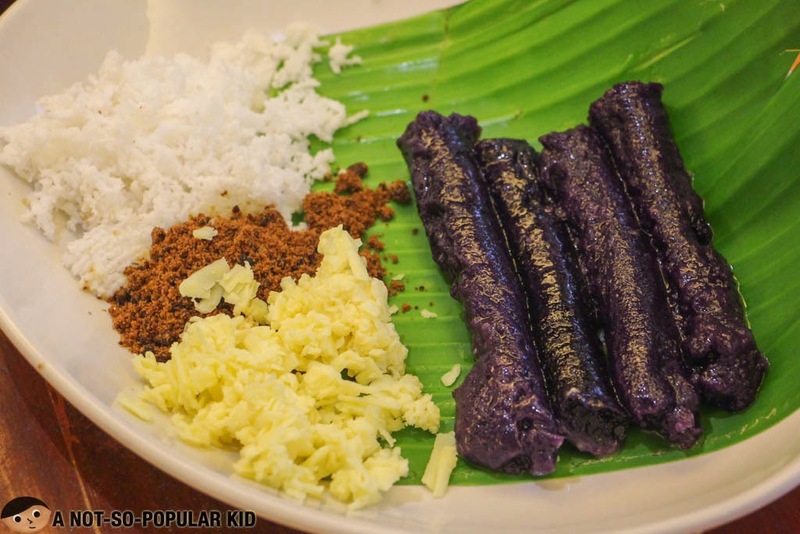 The interesting thing about the Bicol Express here in Dekada is that they deconstructed it. You'll now have a separate bicol express sauce, which was creamy (from gata) and subtly spicy, to go with the liempo-style pork! 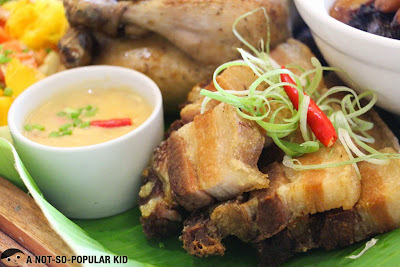 The Lechon Manok, on the other hand, was my least favorite among all the components of the platter. However, it doesn't mean that it tasted bad. It was just a little bland for my taste. The Crispy Pla Pla was indeed crunchy on the outside and fresh in the inside! I was able to enjoy it because the good technique of frying brought out the natural goodness of the fish meat! 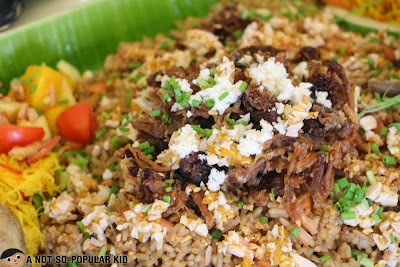 To go along with all the viands in the platter, the Dominicano Adobo Rice was included. It tasted just fine and not too overpowering, which was ideal for the situation, since it cushioned and sometimes complimented the taste of other dishes. 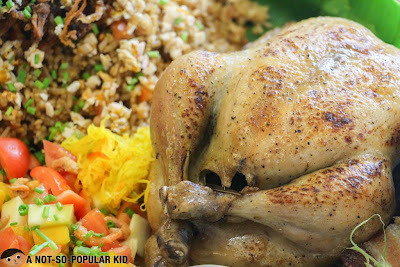 Now, if the lechong manok was my least favorite, this was my most favorite among all the components. 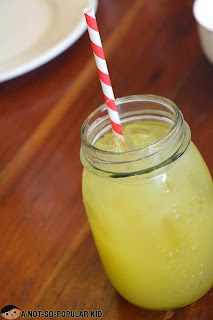 I just loved how controlled the sourness of the soup (and the subtle sweetness from the kamias) was bringing out its natural and refreshing tang! I only had one issue with this dish -- the prawns were somehow overcooked slightly undermining its full potential. 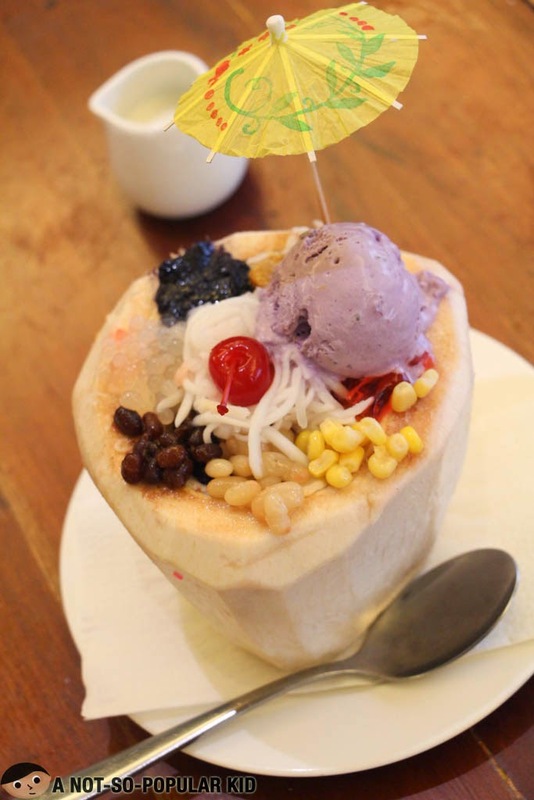 The Halo-Halo in a Coconut for desserts! 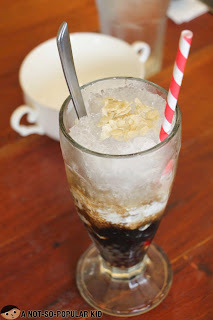 When the Halo-Halo was served to us, I was a bit marveled by the presentation. The way it was arranged and the inclusion of the small umbrella made the dessert look really lovely. Aside from that, this is just your typically good halo-halo. 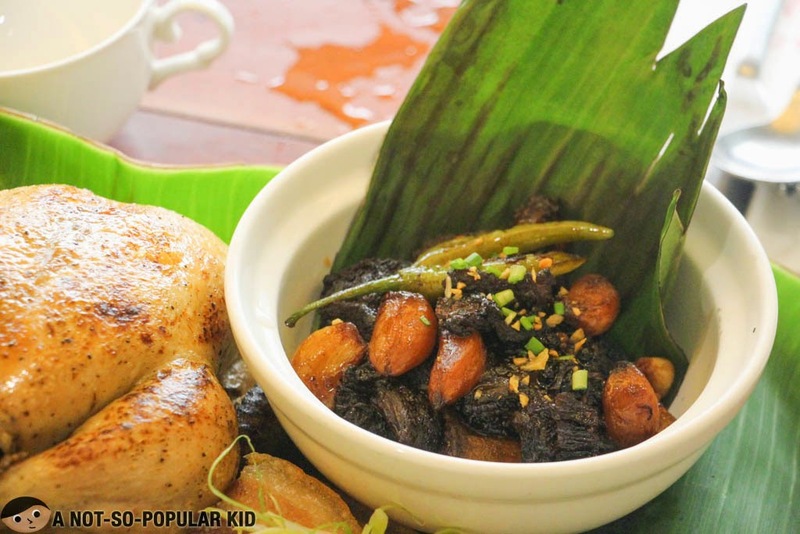 Dekada's specially made Puto Bumbong - Christmas all year round! Although I am not much of a puto bumbong eater, I was able to appreciate this dessert because of its quality and freshness. My mom, who considers herself as a puto bumbong expert, also said that it passed her "taste test"! Note: The butter was already integrated with the mix itself, just in case you are curious about it. There you go! 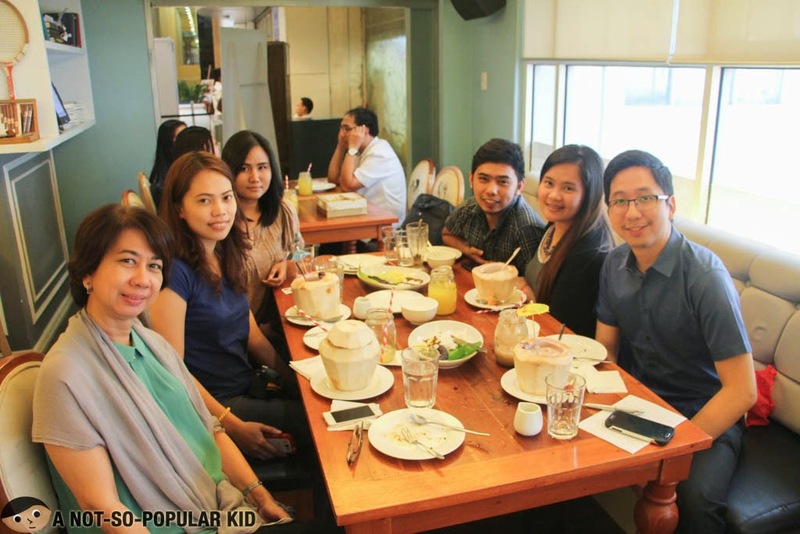 I hope you enjoyed this blog post on Dekada, but before I head on to the overall summary, let me share this photo. To the bloggers I was with namely Teta & Aldrin (of Tetadventurer) and Jam (of LadyLagalag), as well as Leah the brand manager of Dekada, thanks for the awesome bonding! 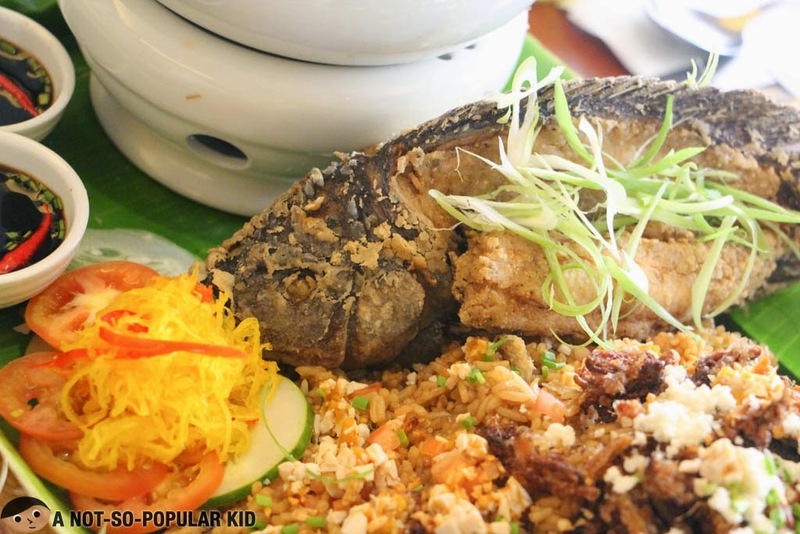 Give your approval or disapproval to Dekada! Although Dekada came from a group of restaurants (i.e. 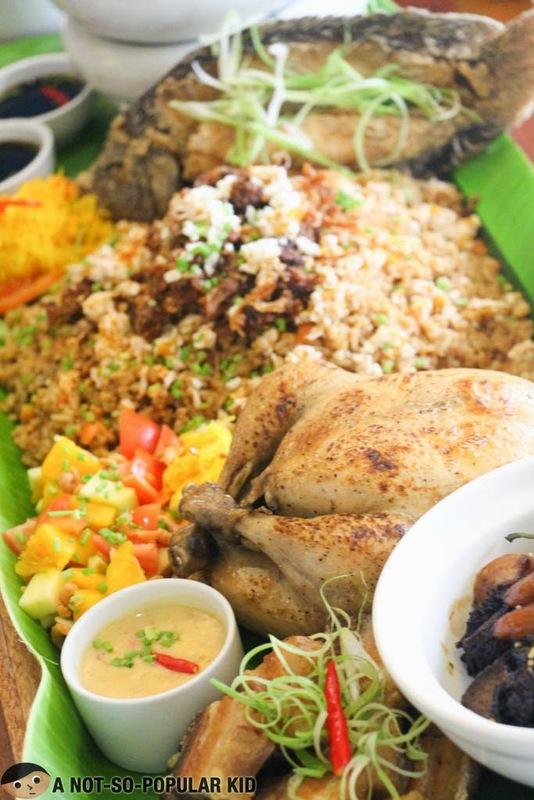 Sumosam, Akira, Banzai and etc) that specialize on Japanese cuisine, it was able to show that it can compete well in the Filipino cuisine category. 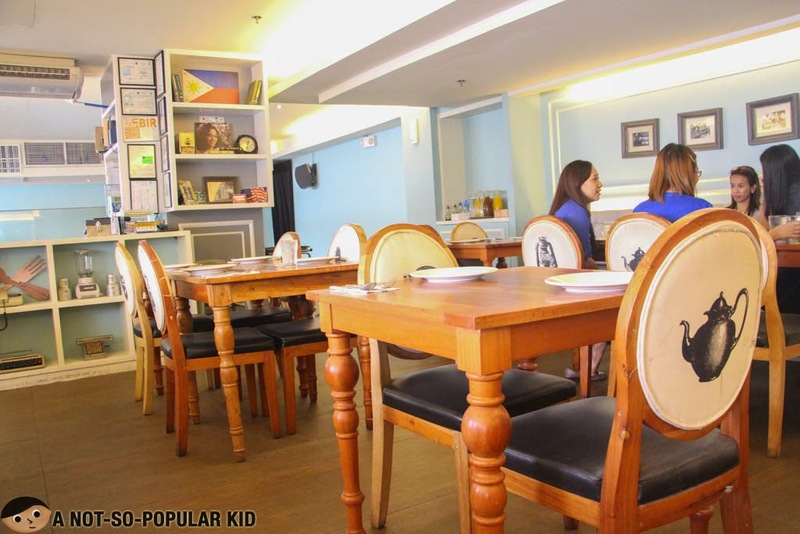 Moreover, with this particular experience, I believe that Dekada has really something to offer in terms of food, ambiance and value for money. Yeah! Tell me about your insights once you try 'em. I want to learn if they will be consistent with the desserts. I never knew that Akiba cafe is part of the same group.